Travelling abroad on a gap year, the adventure of a lifetime or just a week’s jaunt? Then you’re bound to discover more about yourself during your adventure. While most of us will happily head off to an all-inclusive holiday or an arranged tour, independent travelling is a little different as it calls for much more self-sufficiency and usually means requiring certain skillsets, we may not rely on so much otherwise. To help you on your way, here is a list of essential skills every traveller should have (or develop!) to make the most out of their travel experiences. Travelling is so much more than just jumping on a plane and heading for a five-star luxury hotel. Many travellers will visit many locations or several destinations and engage in multiple activities in one trip, so organisational skills are a must if you're looking to tick a whole list of countries, cities or experiences off your list. It is simply pure project management. Arranging/having the correct documents/tickets, timing activities, sorting transport from one spot to another and finding accommodation are all essential for travellers, so you’ll need good organisational skills to experience as much as possible and for processes to flow as smooth as possible during your next adventure. Organisation skills require a whole load of skillsets including research skills, time management, decision-making, communication skills etc. The more skilful an organiser you are the better your travel experience can be and the less chance you will endanger your health, safety, finances and well-being. The cusp between too much and too little is delicate. Finding the perfect balance between enough packing for your trip and overloading yourself with items that you probably won’t ever use is a skill many travellers learn over the years. Use the LeanPac®System as a modular one bag travel tool to limit your packing using fit for purpose modules of toiletry bag and organiser cubes to streamline your packing and leave any unnecessary items at home. The hybrid holdall/backpack JamPac® also means that you’re not limited to flat surfaces when carrying your luggage as you would be with a suitcase, so it’s a great item for those packing pros that want to travel efficiently. Basic rounding up estimate conversions will help in many ways. From currencies to temperatures, to speed limits etc. Being able to quickly round-up and convert currencies can potentially help you get the best bang for your buck and enable you to quickly estimate how much things costs avoiding “mistake” purchases. Converting imperial to metric and vice versa can help keep you within the correct speed limits when doing a self drive holiday and dressing appropriately when knowing the difference between Celsius and Fahrenheit. If you are not already acquainted with the 24 hour clock, you might want to set your phone to that setting, in order to keep time when making bookings and reservations. From silk pashminas to local artisan pottery, all seasoned travellers know how to haggle. When you’re experiencing new places and want to pick up a few souvenirs, the ability to haggle down the price isn’t something you should shy away from as vendors and stall holders actually expect you to barter. Give it a try the next time you visit a bazaar or market as it can make a big difference to your travel budget. What would be a better cost saving skill than engaging in haggling is to not make any unnecessary purchases at all. The ability to not be cajoled into purchases is not an easy one. Do not feel bad and end up with a rug you don’t need in Morocco or a sphinxamid from Egypt after copious amounts of free tea or a “buy 3 for cheap cheap” t-shirts you’ll never wear. Sometimes, our travel destinations offer a few experiences that online searches have failed to unveil, and by speaking to locals you will often find hidden gems off the beaten track. To stay safe and experience everything your latest port of call has to offer, a little navigational knowledge is an excellent skill to have as you should consider it a way to un-lose yourself in areas that may not have great reception for GPS or phone devices. 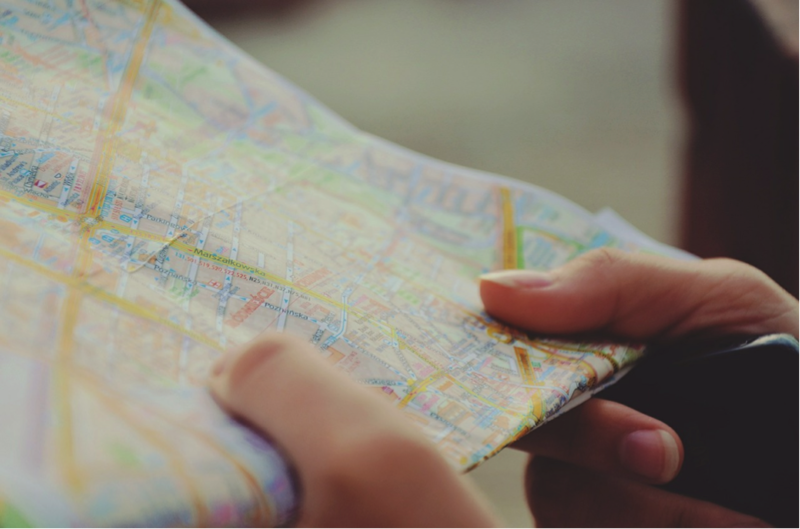 Learning how to use a map won’t just put you in good stead for future adventures, it could also help get you out of a sticky situation if you accidentally make a wrong turn seeking out that local beauty spot and give you courage to explore. Use a squat toilet because when you got to go, you got to go! Drive a manual transmission car, if not because that is all that is on offer, then for saving some cash as they tend to be cheaper to hire. Get the feel for when & how to offer a bribe in times of need when being shaken down, whether on the road or getting through customs. De-boning fish when the fish dish you ordered comes whole. Not encouraged but needs must, smuggling alcohol on longer stays where they are outlawed. The best example we’ve come across so far is vodka with blue colouring in mouthwash bottles…genius!